At DeKalb Optometric, we believe vision is a precious gift, and as your eye care provider it is our responsibility to work with you to preserve and enhance it. Many people incorrectly judge the need for an eye exam by how well they are seeing or by the presence or absence of eye pain. Unfortunately many eye diseases have no symptoms until the disease has significantly progressed. This may result in the advancement of a silent eye disease that is difficult or impossible to treat effectively. During the consultative portion of your examination, your doctor will review with you steps to take to support preserving your vision and eye health. Our office has developed a program that we refer to as Ocular Wellness. Ocular Wellness is the philosophy of educating our staff and our patients about how to prevent eye disease through a combination of preventative care and lifestyle choices. This philosophy supports our office’s Mission and Vision statements, which aren’t just words on paper, but rather a dedication to our patients and providing them with the best possible care and support. We believe vision is a precious gift and it’s our responsibility to preserve and enhance this gift. By following a regimen of regular preventative examinations, you can increase your chances of early detection and treatment of diseases. The sun has damaging rays that can damage the eye. Cataracts and macular degeneration are shown to be contributed to by the sun’s damaging rays. More skin cancers and irritations caused from the sun are found around the eyes than any other part of the body. Your doctor will recommend the appropriate option for you depending on your specific lifestyle and visual needs. As most people are aware, smoking has been shown to have many harmful effects on the body, and the eyes are no exception. In fact, smoking has been consistently linked as the most modifiable risk factor to macular degeneration. Smoking is also a significant contributor to cataracts and dry eye. Research indicates that a healthy diet is essential to maintaining good eye health. Specifically, a balanced diet rich in green, leafy vegetables is critical to the health of your eyes. A large long term study showed that patients with macular degeneration showed a reduction in the progression of the disease after taking certain levels of vitamins with high antioxidant properties. For dry eye, many studies have shown that certain levels of Omega 3 intake can reduce the progression of the disease and corresponding symptoms that can affect your vision and your quality of life. Screenings that are provided in school are beneficial; however, they are very limited in what the screening actually assesses and can result in undiagnosed problems. A comprehensive eye examination by your DeKalb Optometric optometrist will entail not only an assessment of ocular health, but also a thorough analysis of the binocular vision system, that is how the eyes truly team together to focus and align. At DeKalb Optometric, preserving and enhancing our patient’s vision is our number one priority. Our office utilizes the most state-of-the-art technology available today in order to give our patients the best results and advantages both visually and medically. This is the process of measuring the thickness of the cornea utilizing. Corneal thickness is an important predictor of glaucoma development and is widely used to better diagnose and detect early cases of glaucoma. Corneal Pachymetry is also essential prior to considering refractive surgery procedures such as LASIK. This is the systematic measurement of differential light sensitivity in the visual field of an eye by the detection of the presence of test targets on a defined background. This testing is important in the screening, diagnosing, and monitoring of various eye diseases. It is also useful in identifying brain disorders affecting the visual pathway such as tumors and strokes. The Heidelberg Spectralis is a non-contact medical imaging device similar to ultrasound and MRI. With Spectralis, reflected light is used to produce detailed cross-sectional and 3D images of the eye on a microscopic level. At over 40,000 scans per second, the Spectralis gives us a better chance of observing eye disease like never before. 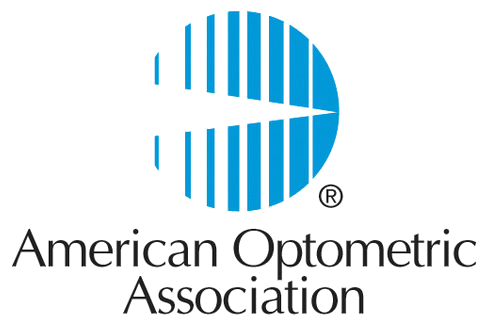 DeKalb Optometric is proud to be the first to introduce the use of Blue Peak Spectralis OCT in our area. These additional views are helping redefine diagnosis and treatment of many major eye diseases. Earlier detection, and prompt, proper treatment is our goal and our promise. DeKalb Optometric is pleased to offer two new vision tests to all patients. The Diopsys® NOVA Vision Testing System provides us with painless, non-invasive vision tests includes Visual Evoked Potential (VEP) and pattern Electroretinography (ERG).The purpose of these tests is to provide comprehensive information to assist us in diagnosing vision disorders, better planning your treatment (if needed) and monitoring the results. The Diopsys® NOVA-VEP test measures the strength of the signal reaching your visual cortex and how fast it gets there. Our doctors are able to compare tests over time to track disease progression. VEP is useful in diagnosing and managing glaucoma as well as other neuro-vision disorders such as multiple sclerosis and traumatic-brain injury. ERG measures the function of your retina – the light-sensitive layer at the back of your eye. The Diopsys® NOVA-ERG test records how well the cells of the retina are conveying electrical impulses within the eye. The ERG tells us how well the retina is functioning. Thus ERG is beneficial in making early diagnosis, objectively looking at change in functioning, and monitoring the effects of treatment.